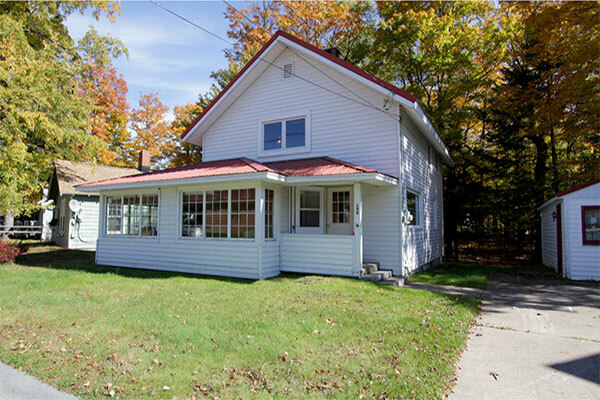 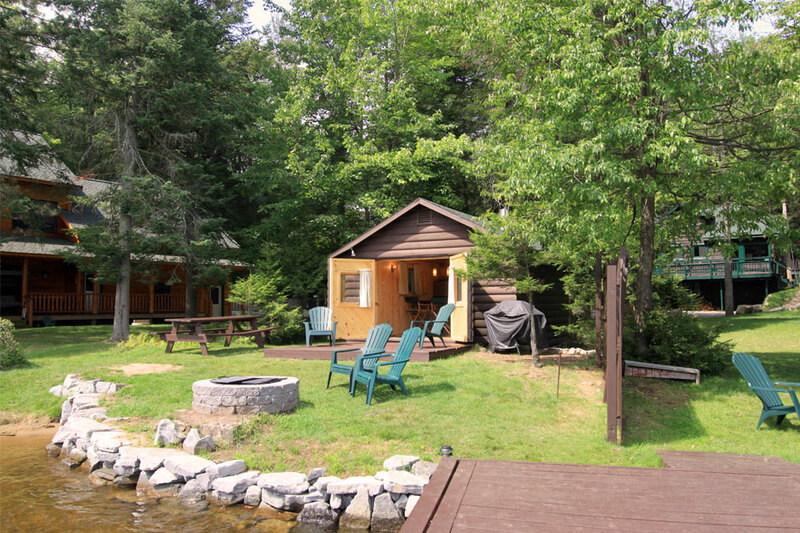 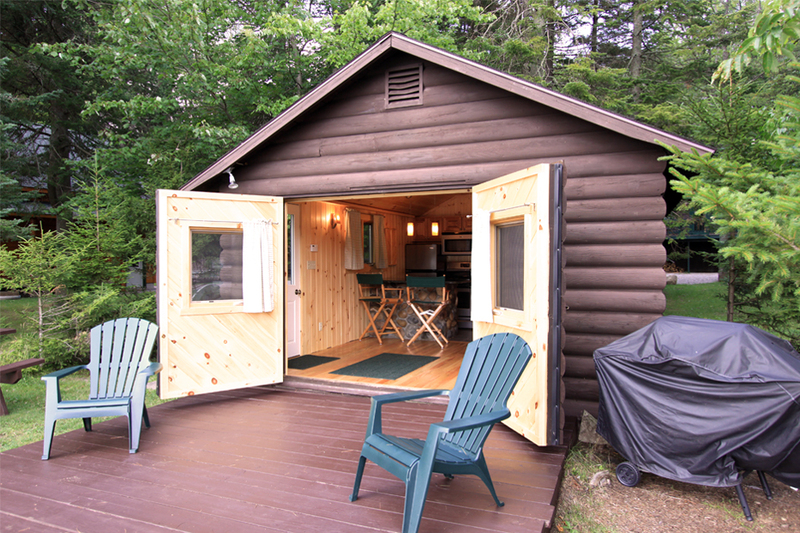 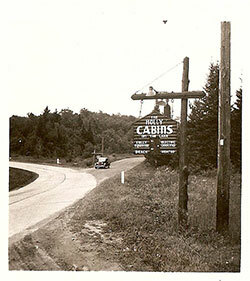 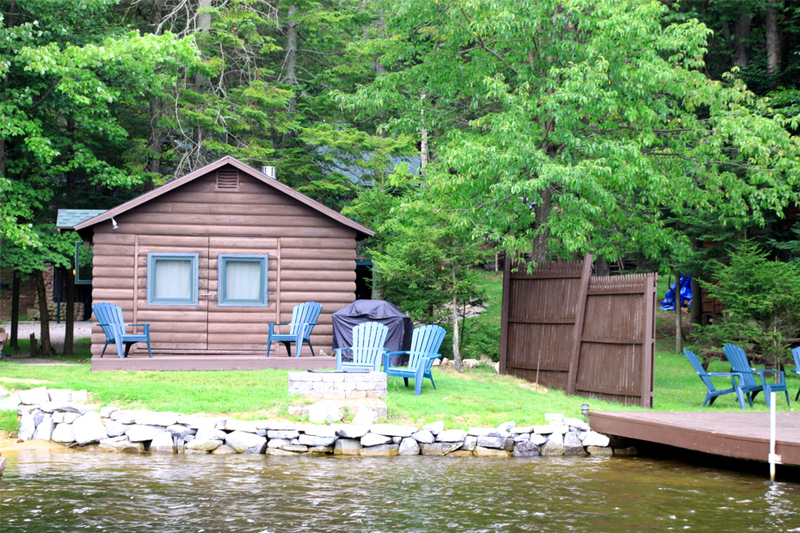 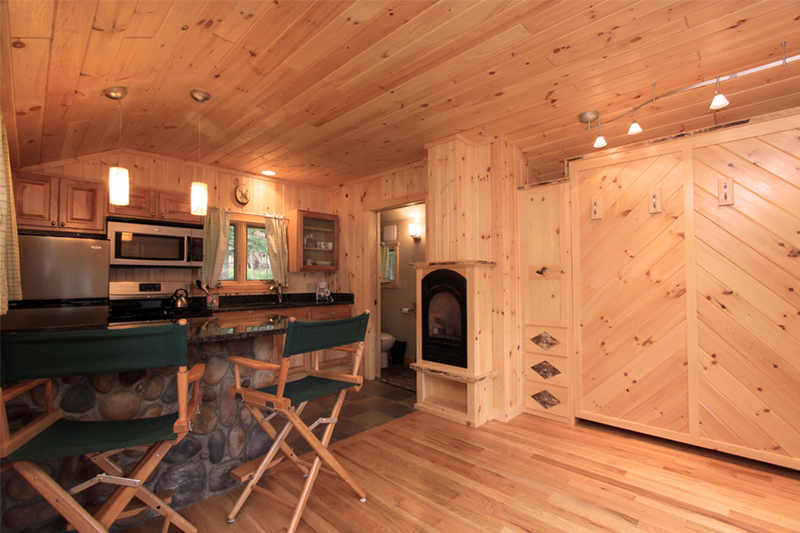 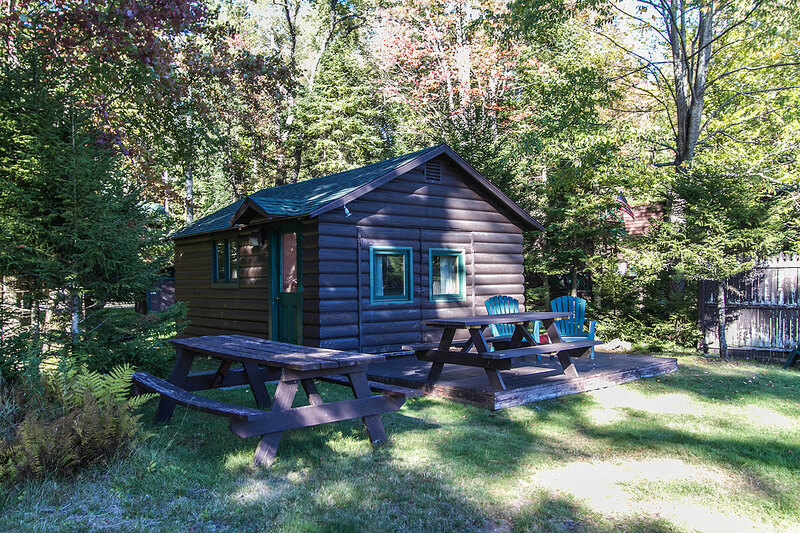 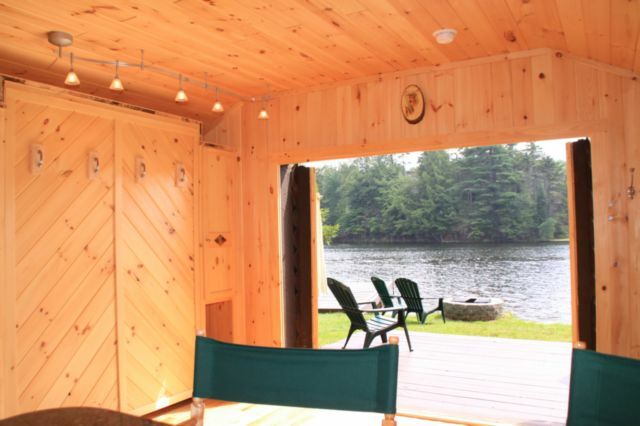 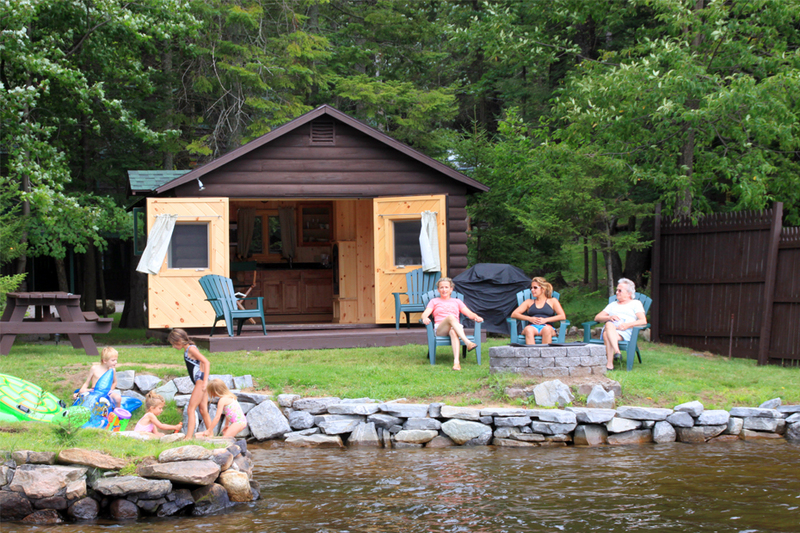 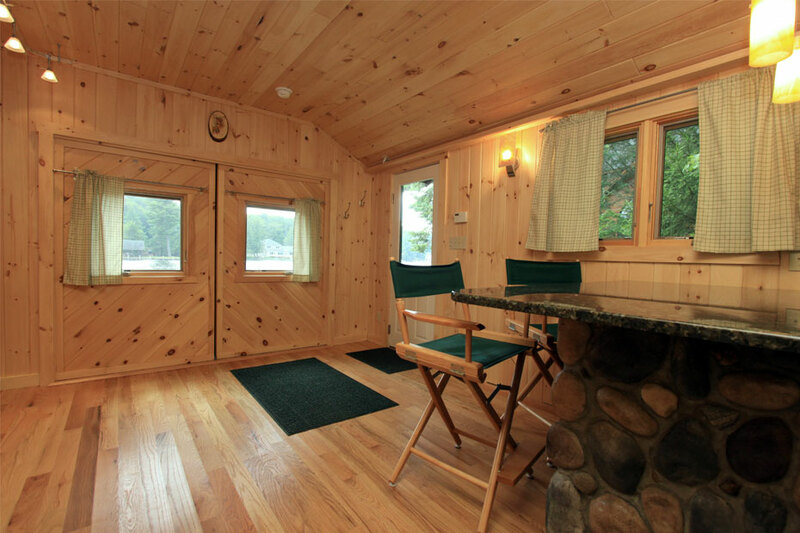 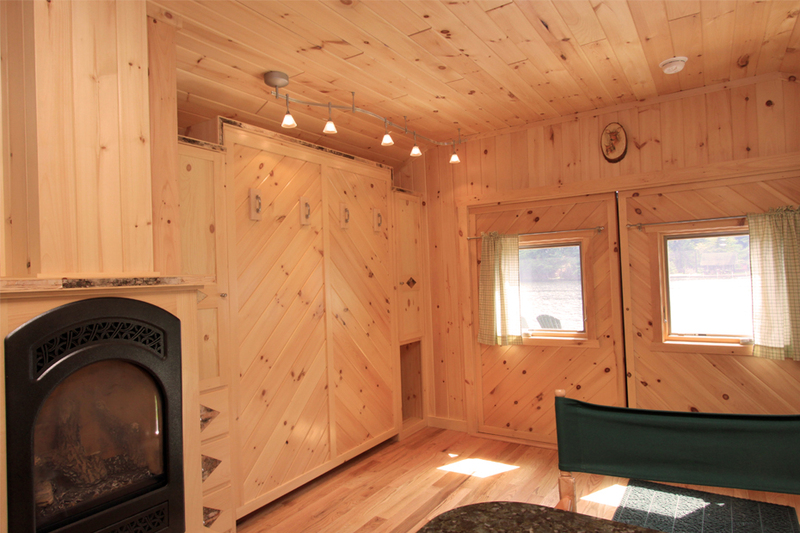 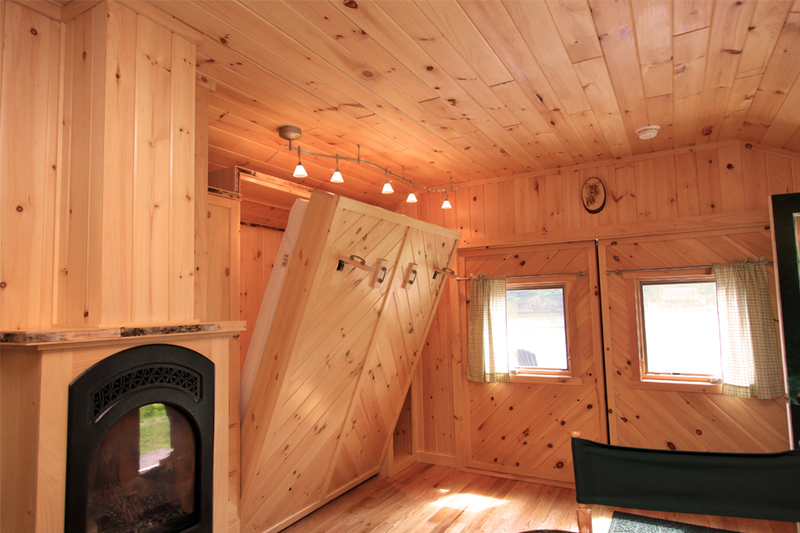 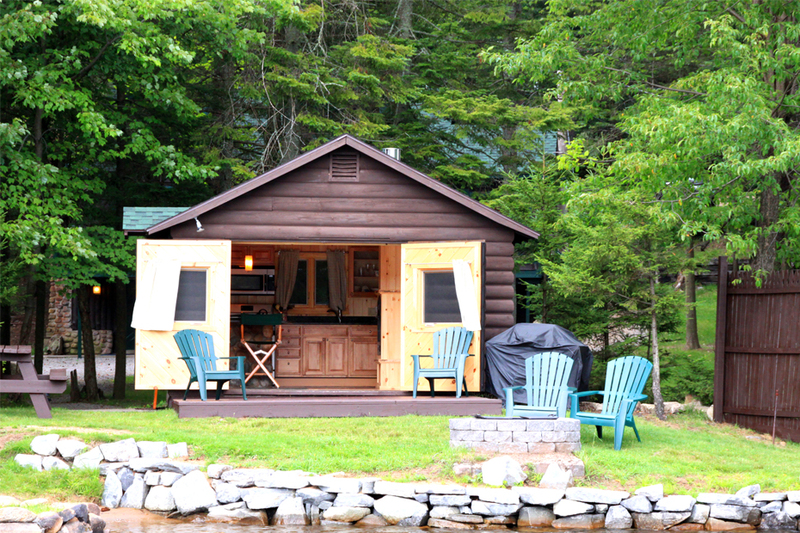 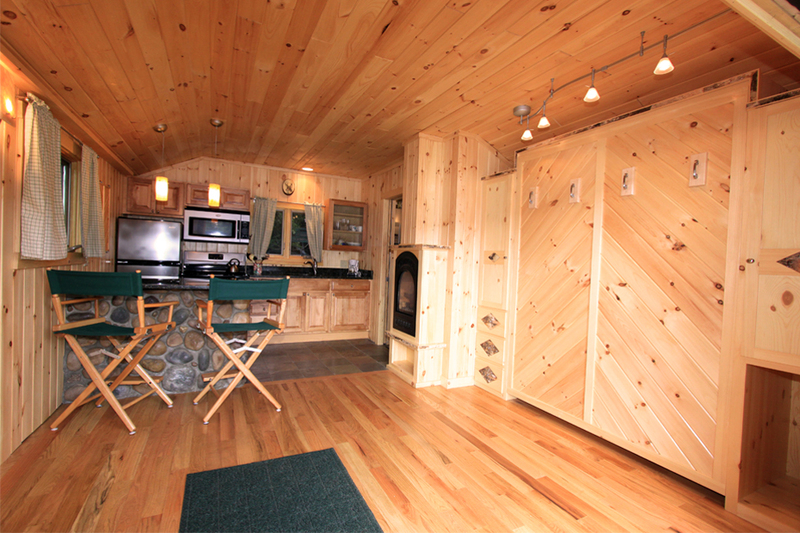 Tamarack Cottage is cozy, lakefront cottage for two complete with all the modern touches. 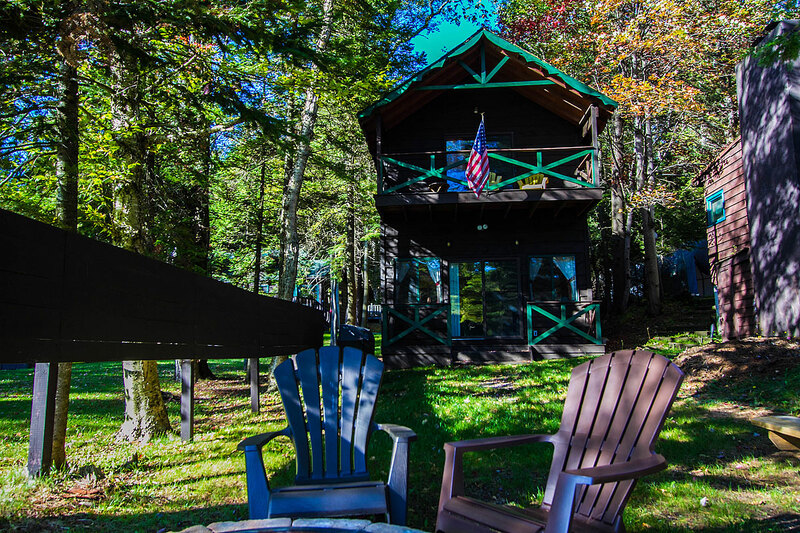 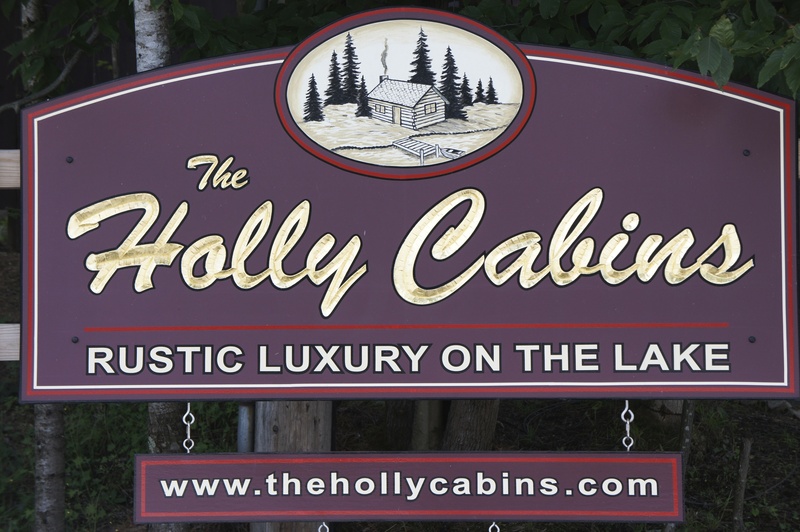 Located just north of Old Forge on the Fulton Chain of Lakes, Tamarack Cottage epitomizes our mantra – Rustic Luxury on the Lakes. 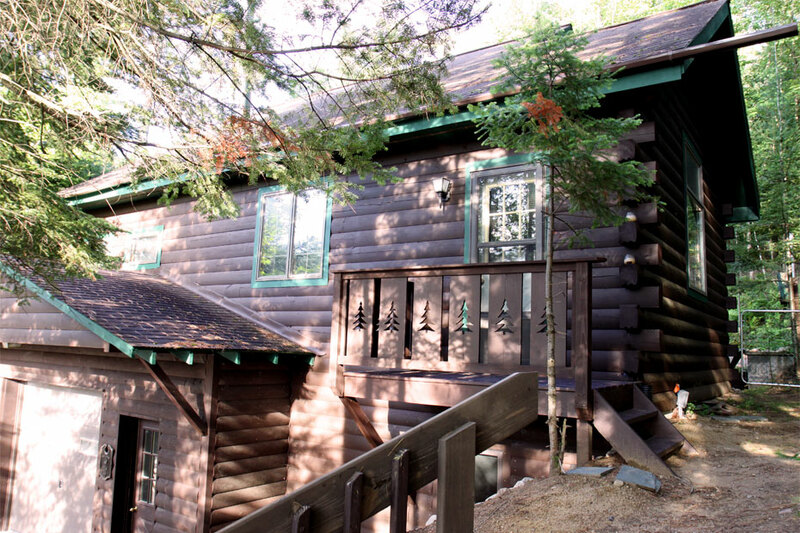 Tamarack boasts beautiful knotty pine walls, hardwood floors, fully equipped kitchen with granite counter tops and stainless steel appliances, and breakfast bar. 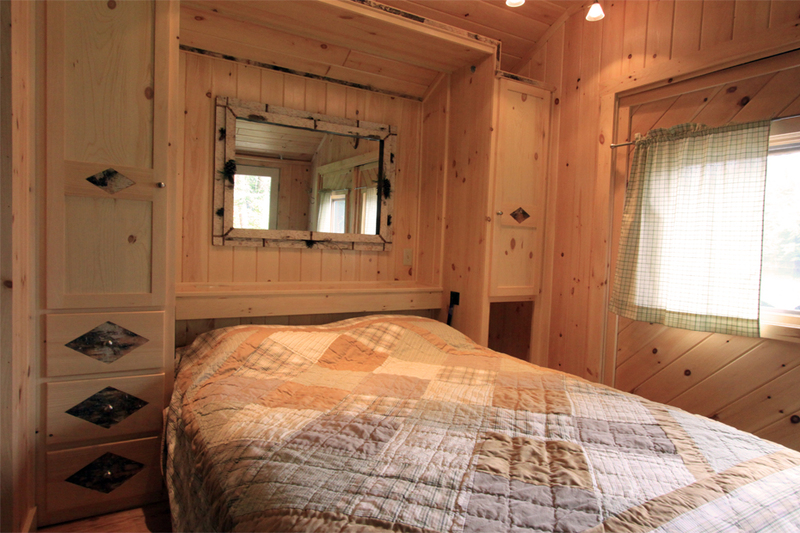 Sleeps 2 in queen murphy bed. 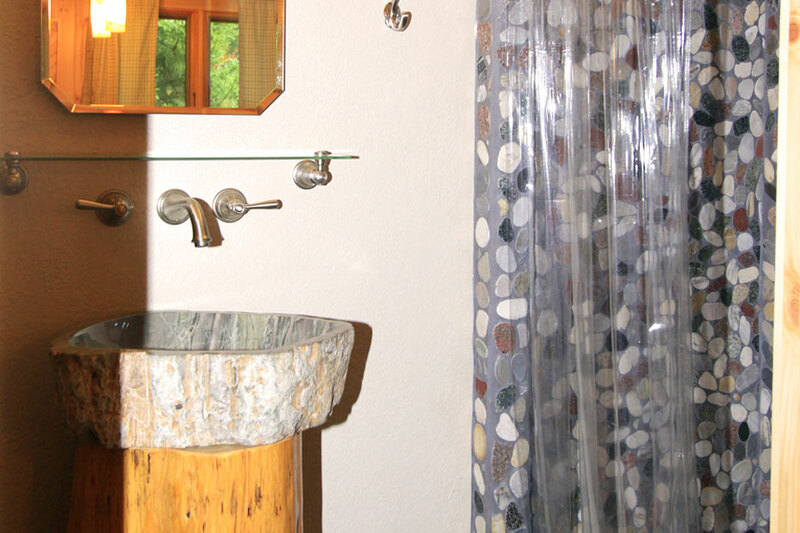 Bathroom with granite wash basin and rock tiled shower. 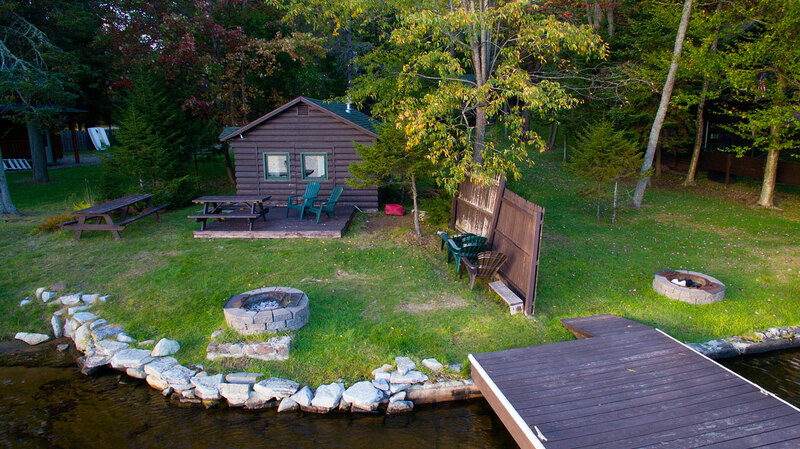 “Boathouse” style doors open onto a south facing deck overlooking the lake, allows for relaxing while you observe sunrise, sunset, wildlife, and lake activities.